"[In 1998], a research team headed by Dr. Eugene Foster, a retired pathologist at the University of Virginia, obtained blood sam­ples containing Jefferson's Y chromosome from a living descendant and from several descendants in the [Sally] Hemings line. The results, pub­lished in the prestigious scientific magazine Nature and released to the press on Halloween Day, 1998, showed a match between Jefferson and Eston Hemings, Sally's last child. The chances of such a match occur­ring randomly were less than one in a thousand. This constituted con­clusive evidence that Jefferson fathered at least one of Sally's children and, in conjunction with the preexistent circumstantial evidence, made it highly probable that a long-term sexual relationship existed between them. If the Tom and Sally story was the longest-running soap opera in American history, it had at last reached its final episode. "The scholarly response to this revelation is virtually certain to extend and deepen the critical consensus that Peter Onuf had summa­rized five years earlier. We already knew that Jefferson was an inher­ently elusive character who lived the central contradiction in American history, which is to say that he crafted the most inspiring egalitarian promise in modern history while living his entire life among two hun­dred slaves. Now we also know that he fathered several children by one of those slaves while claiming to regard racial amalgamation as a hor­rific prospect and a central reason why slavery itself could not be easily ended. Prior to the DNA evidence, one might have reasonably con­cluded that Jefferson was living a paradox. Now it was difficult to avoid the conclusion that he was living a lie. "All the major newspapers, magazines and television networks cov­ered the story as a front-page item; a revitalized version of the culture wars broke out in the op-ed pages. Because I had coauthored the essay that accompanied the DNA study in Nature, and was also on record as opposing the ongoing impeachment hearings on President Clinton's sexual indiscretions, William Safire of The New York Times accused me of timing the release of the study to undermine the case against Clin­ton, presumably by demonstrating that illicit liaisons with younger women had a distinguished presidential pedigree. 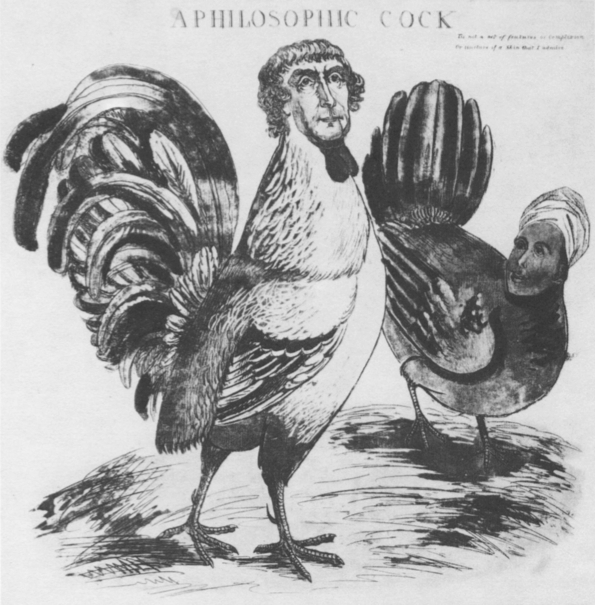 Several black schol­ars and journalists used the occasion to ask why so many white histori­ans, including yours truly, had failed to get this right and had paid insufficient attention to the oral tradition within the Hemings family, which had always regarded the existence of a sexual relationship between Tom and Sally as a self-evident truth. The clear implication was that racism was at work, along with the collateral urge to protect Jefferson from complicity in the secret sexual history between blacks and whites in the American South. "At the level of popular opinion, however, neither the scholarly cri­tique of Jefferson's exalted status nor the journalistic craving to make him a double-edged weapon in the culture wars seemed to make much difference at all. Rather like a stock market that had already anticipated a stirring piece of fresh financial information, mainstream Americans took the news in stride, which only confirmed my impression that the  Fawn Brodie [biography] version of the Sally and Tom story had long since triumphed in the marketplace of public opinion. Tourists at the Jefferson Memorial and at Monticello, when asked to offer their reaction to the recent revelations, expressed casual indifference, claiming to have known it all along. In retrospect, it would seem that the only folks who had resisted the truth were the white descendants in the Jefferson family and the majority of professional historians." Clearly, this excerpt comes from the April 1998 paperback edition and not the original 1996 edition as cited. There is no proof now, nor has there ever been that Thomas Jefferson fathered any of Sally Hemings' children. Go back and read the report and stop believing the "political correct" crap that modern-day history revisionists are trying to push!